Gunsmoke: Buffalo Hunter; Haunting Hour: “Old, Old Man,” Saturday, 10 p.m. and 1 a.m.
Yours Truly Johnny Dollar: “Mystery Gal Matter;” Box 13: “Hot Box,” Sunday, 10 p.m. and 1 a.m. Suspense (new series): “The Perfect Accessory;” Suspense (classic): “Murder on Mike” (postponed from an earlier date), 10 p.m. and 1 a.m.
Dimension X: “Dr. 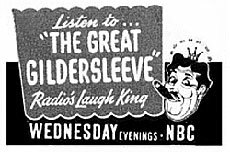 Grimshaw’s Sanitorium;” Suspense (classic): “Peanut Brittle,” 10 p.m. and 1 a.m.
Then, as now, the Great Gildersleeve is heard Wednesday nights. 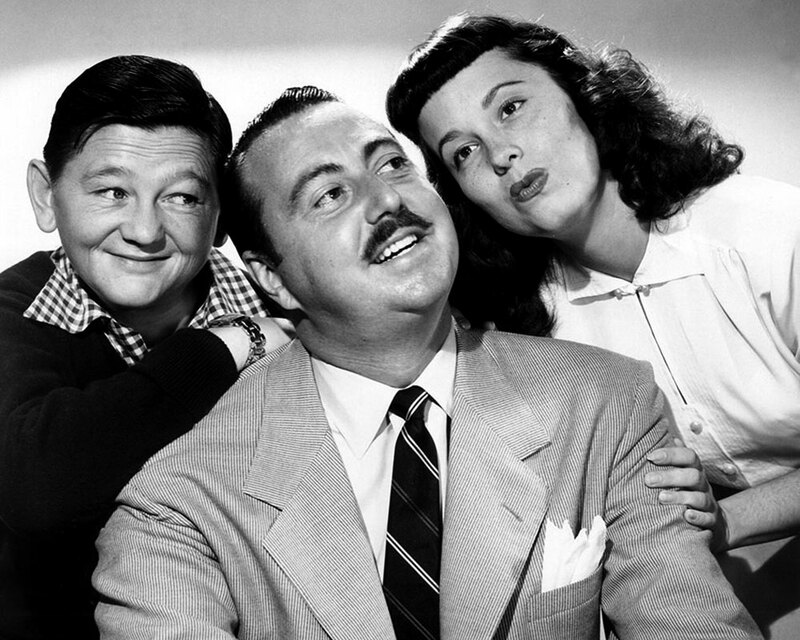 Great Gildersleeve: Cousin Bert Sends Leroy a Great Dane; Suspense (classic): “Leiningen vs. the Ants,” 10 p.m. and 1 a.m.
Our Miss Brooks: Mr. Conklin’s Statue; Suspense (classic): “Man from Tomorrow,” 10 p.m. and 1 a.m. Couple Next Door: Back from Banquet; Suspense (classic): “Old Army Buddy,” 10 p.m. and 1 a.m.
Gunsmoke: Big Con; Haunting Hour: “Ptolomey’s Grave,” Saturday, 10 p.m. and 1 a.m.
Yours Truly Johnny Dollar: “Man Who Waits Matter;” Box 13: “The Better Man,” Sunday, 10 p.m. and 1 a.m.